I’ve been struck recently by the amount of ingratitude in my life. I don’t think that I’m alone, but I don’t wish to project my shortcomings on to any of you. All the hype on the news about how awful things are have created in many of us a sense of “Yep, it’s terrible. Things are worse than they’ve ever been and I see no hope that things will be better.” And, we tend to be so down-in-the-mouth and dispirited that we ignore an entire panoply of blessings each day. You see, faithfulness is boring. We come to expect faithfulness after a while because something (a person, car, pet, etc.) is always there, always does what it is supposed to do. We presume faithfulness and are shocked when it doesn’t happen. The same is true with God. We know in our heads that God has promised to be faithful – and we believe it – at least at some level. But that’s dangerous because it means we take Him and what He does for granted. In Buchanan’s book, he ponders the wonder of leaves. Leaves when they are dry are very fragile, yet just the other day, I was sitting in a restaurant with my wife and sister and her kids, and it was windy and raining outside, but I looked outside and saw a dried leaf clinging to a branch. Leaves can even cling to trees through a hurricane or tornado. But when they’re dry, they are so very fragile. Leaves give us shelter from the blazing summer sun, they provide food for animals and people, they drink down the poison of carbon dioxide and give us back life-giving oxygen in exchange. Each spring, leaves appear on trees all over the world by the trillions or quadrillions (who knows how many leaves God creates each spring?!??!) And my guess is that not one time in your life, have you ever had to ask God to put leaves on trees in the spring. And I’d also be willing to bet that not once have you stopped to give Him thanks for those leaves that give you life. I haven’t. Leaves and their ilk are signs, reminders if you will, of God’s faithfulness. When something in your life gets you down and discourages you, when you are tempted to feel that God has failed and let you down, stop and ponder a leaf or two – and remember that they are reminders of God’s faithfulness – even when we fail to give Him thanks for such simple things. Hebrews 12:28 (NASB) – Therefore, since we receive a kingdom which cannot be shaken, let us show gratitude, by which we may offer to God an acceptable service with reverence and awe… We have received citizenship in a kingdom which we don’t deserve. We have much, even this very moment, that calls out to us to give Him thanksgiving. While Jesus doesn’t explicitly use the “I AM” phrase here, his claim is equally strong: he is the source of living water. What was living water? It was moving water – safe to sustain life – as opposed to stagnant water such as that in the Dead Sea. Jesus makes this statement during the feast of tabernacles which the people referred to as “the season of our gladness,” for it marked the completion of the harvest. Josephus called it “the holiest and the greatest festival among the Jews”. It wasn’t just for the rich; it was for everyone – the rich, the poor, the stranger, the widow and servants – all were to share in the universal joy. During this festival, a priest took a golden pitcher which held about two pints of water and went down to the Pool of Siloam where it was filled. He carried it back through the Water Gate while the people recited Isa 12:3: With joy you will draw water from the wells of salvation. The water was taken to the Temple altar and poured out as an offering to God. As that was taking place, the Hallel—that is, Ps 113-118—was sung to the accompaniment of flutes by the Levite choir. When they came to the words, “O give thanks to the Lord” and again to the words, “O work now then salvation”, and finally to the closing words, “O give thanks to the Lord”, the worshippers shouted and waved their palms towards the altar. The whole ceremony was a vivid thanksgiving for God’s good gift of water, an acted prayer for rain, and a memory of the water which sprang from the rock when they travelled through the wilderness. On the last day the ceremony was doubly impressive for they marched seven times round the altar in memory of the sevenfold circuit round the walls of Jericho, whereby the wails fell down and the city was taken. Against this background and perhaps at that very moment, Jesus’ voice rang out: If any one thirst, let him come to me and drink.” It is as if Jesus said: “You are thanking and glorifying God for the water which quenches the thirst of your bodies. Come to me if you want water which will quench the thirst of your soul.” He was using that dramatic moment to turn men’s thoughts to the thirst for God and the eternal things. 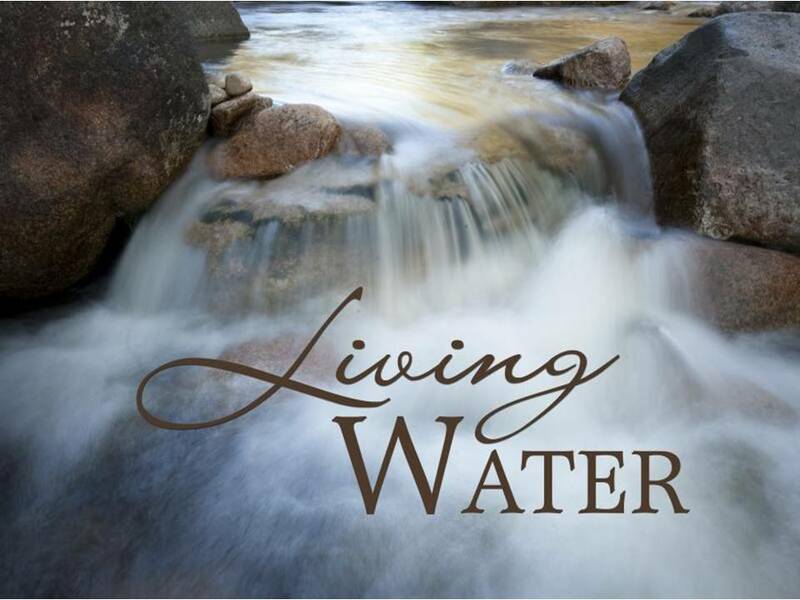 The concept behind “living water” is water that is moving, flowing. Such water is safe to drink as opposed to stagnant water such as was found in the Dead Sea. It would be cooler and more refreshing – it was the kind of water that could sustain life. Jesus’ claim is that he is able to provide us with the refreshing, safe water we long for and more – that we will become channels for that water to flow out to others. But like the Dead Sea, we can’t be channels of blessing unless we stop just taking in water – we must let it flow through us as the water from the Jordan flows through the sea of Galilee. Let it flow through you today! PRAYER: Lord, our spirits are thirsty until we drink deeply of you! Let us let your water flow through us to the parched spiritual desert in which we live. In Jesus’ name, Amen. Bread (symbolically representative of food to the people of Jesus’ day) is that which is necessary for life to go on. But elsewhere Jesus tells us in John 17:3 that to know God and Jesus is life with a twist – it is eternal. So, there is existence inherent in life – but there is much more. There is relationship with the Creator. 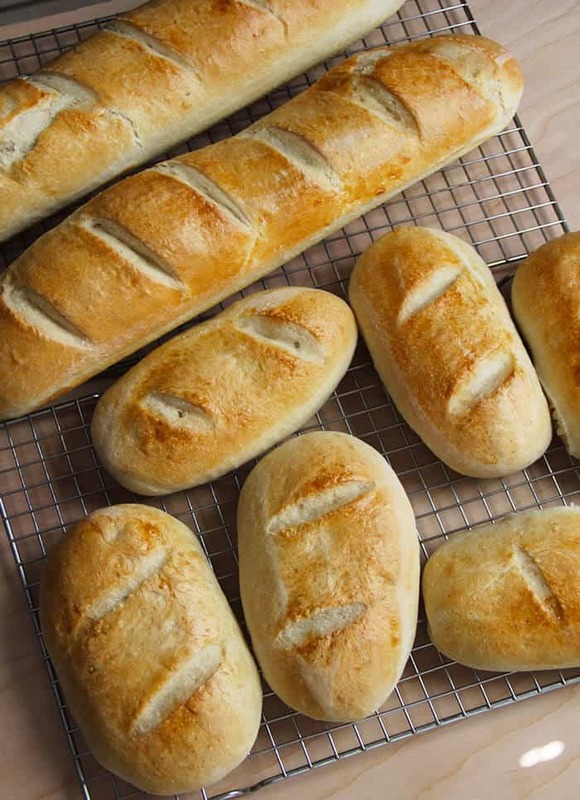 When Jesus claimed to be the bread of life, it is true that the very food we eat this gives us existence comes from his provision, but there is more to the life that comes from this “bread” than just existing. That hardly qualifies to be life. Stones exist – but they don’t have life. So it is with the bread of life. 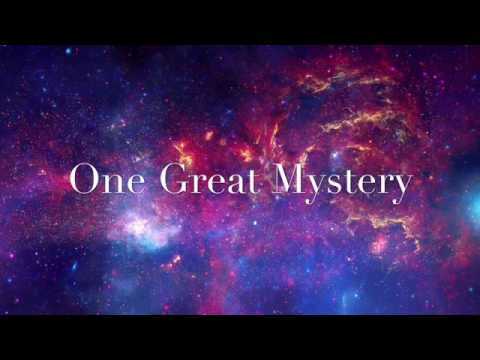 We can either just exist by not knowing God, or we can take in the bread of heaven that came down from above and in doing so, we have a new life that is primarily defined by knowing God and Christ Jesus whom he sent. Without Jesus there is existence, but no relationship. With Jesus, we have both. It is that relationship that on the last day when all shall end that will keep us secure and safe. We need daily bread. Sure, we can survive for a while without it, but not indefinitely. How long has it been since you have taken in the bread of life and really devoured it? Why would you rob yourself of the life it gives? PRAYER: Lord, thank you for providing the bread that not only feeds our mouths but our hearts and souls. Fill us so we are never hungry again! In Jesus’ name, Amen. John 11:25 (CSBBible) – Jesus said to her, “I am the resurrection and the life. The one who believes in me, even if he dies, will live. We often think about powerful people or things. At least I do. There is a saying that “Power corrupts and absolute power corrupts absolutely.” That was never less true than in the case of Jesus. As the mourners were gathered around Jesus as he stood outside of Lazarus’ tomb that day, they weren’t just in the presence of a craftsman’s son from Nazareth – they were in the presence of the greatest power the world ever has or will see. They were in the presence not of the one who would bring the resurrection, but of the One who IS the resurrection. 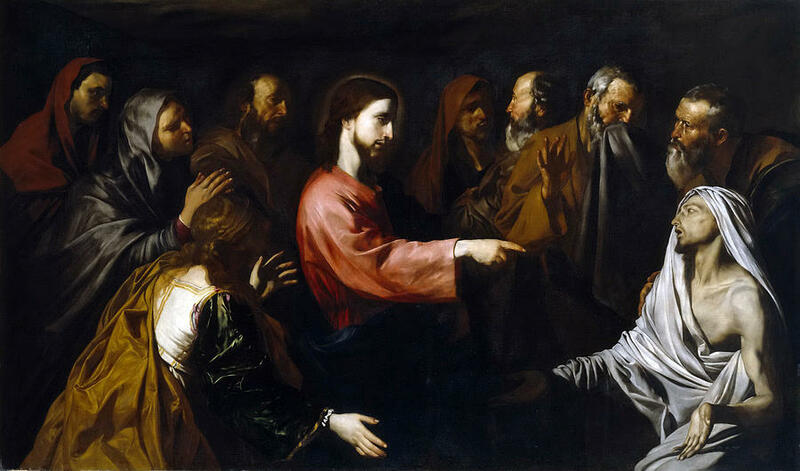 The mourners gathered at the tomb never expecting to see Lazarus again for he was dead – certifiably dead as he’d been in the tomb long enough that, according to Jewish thought, the spirit would have left because the corpse was no longer identifiable. Yet standing shoulder to shoulder with them was the power of life over death, the power to turn corrupted flesh into vibrant, pink tissue, the power to restart a heart. The Jews had a very troubled history by the first century: defeat, captivity, slavery, oppression and no or very little vindication, yet they had an unshakeable conviction that they were the people of God and given His character, they reasoned that there must be world beyond where all would be made right and the dead would live again in peace. This raising of Lazarus is a foreshadow, but a poor one, of what our resurrection will be. Lazarus was going to die again. Our resurrection (and his second one!) will be into immortality. I don’t know about you, but I need that kind of power in my life not just for the future, but for the now as well. I need the power of one who can transform my sinful self into something new and living. And the one who can do that is not just standing shoulder to shoulder with me at a graveside, but he lives within. All I need do is to hear his voice and “come forth”. PRAYER: Lord, let us live in your resurrected power not just for eternity, but in the now as well! In Jesus’ name, Amen.